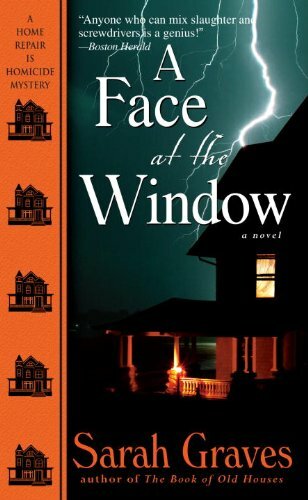 by Sarah Graves | Mystery & Thrillers | This book has not been rated. It starts with a phone call that reopens a painful chapter in Jake Tiptree’s past. After years of delay, the man who murdered Jake’s mother is finally scheduled to stand trial—until he vanishes into thin air. Maybe the only thing worse about Ozzie Campbell’s disappearing is that Jake has a terrible foreboding of just where he’ll turn up next. With her family away, Jake had hoped to savor a few days of unaccustomed solitude. Now, without warning, her cozy, well-loved home in Eastport, Maine, seems more like a death trap ready to snap shut. Suddenly Jake feels that her house—and her life—has far too many windows. And in any one of them she might see the face of her killer. This one was suspensful. I enjoyed it. This book is now on its way to Rhonder who chose it out of Loriped's Suspenseful, Mysterious VBB. Enjoy! Thanks loveamystery! I started this series last year and really enjoy it! Thank you also for the bookmark "How will you get everything read with only one life?" .... how true!